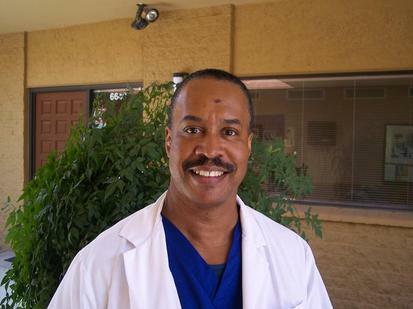 Dr. Diggs had been practicing dentistry in Arizona for over 23 Years. He received his B.S. in Biology from theUniversity of Redlands, got his D.D.S. degree from the University of California, San Francisco and graduated in the top 20% of his class. Dr. Diggs completed a graduate externship at the San Francisco community clinics, and was a student instructor in the dental summer orientation program at UCSF. Dr Diggs is a former clinical instructor in the graduate dental residency program at Kino Community Hospital, where he also served as Interim Department Chairman. He currently serves as an advisor and mentor to Pre-Dental Honor Society at the University of Arizona, and donates his time to the community by providing free dental care at the annual Festival of Hope.